Find a vacation home to rent in Cortona from our list of vacation rental properties. Campaya has over 191 vacation homes available in Cortona, which give you the possibility to locate a unique accommodation in Cortona which completes your check-list in search for the perfect self catering vacation apartments in Cortona or vacation villas in Cortona. 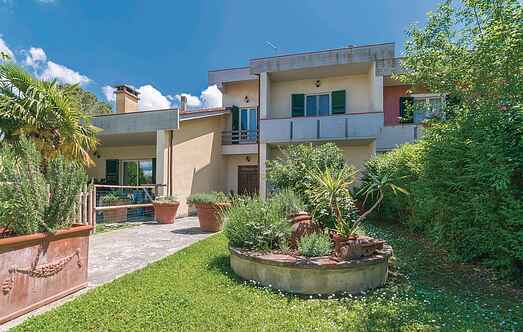 About 8 km from Cortona, on a gentle hillside in the Chiana-Valley, lies this nice semi-detached house with private garden and pool. Between Cortona (7 km) and Lake Trasimeno (7 km) you find this wonderful holiday home, set in a slightly hilly position. Only a few minutes from the proud and ancient hill town of Cortona lies the tiny hamlet of Pergo. Rustic holiday house on a wooded hillside, set between Cortona and Città di Castello. The old farmhouse has been lovingly restored and furnished in country style. Pure romance - hidden between olive groves, this cozy stone house is located in the hills between Cortona (9 km) and Lake Trasimeno (18 km).